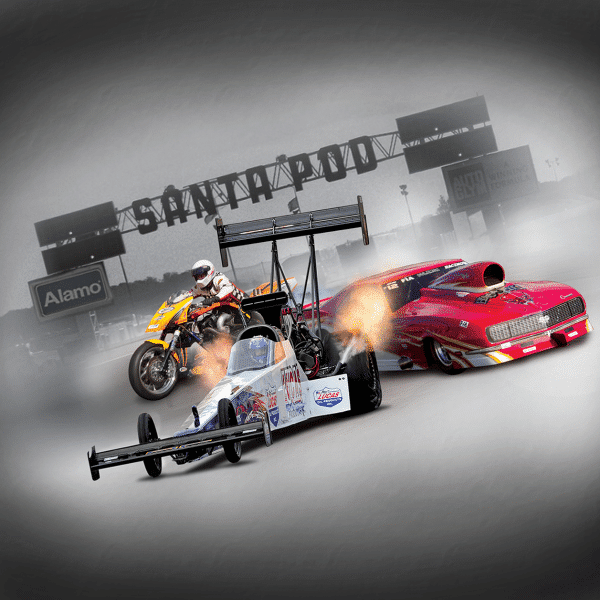 Looking for a place to stay when you visit Santa Pod Raceway? Then try an American Motorhome! If you’re visiting with a team or a group of friends, then divide the cost down and you’ll be staying in motorsport style for a fantastic price! Stunt Fest Weekend – An afternoon of awesome stunts and displays for all the family, featuring some of the top UK stunt drivers and riders. The perfect high octane half term entertainment for kids in Northamptonshire, Bedfordshire and the Midlands. See the Stunt Fest web page. Fast Show Weekend – including ‘Run What Ya Brung’, ‘Show n Shine’, stunt shows, traders, car clubs and the Pod Palais heated nightclub on Saturday night. The Festival of Power drag show – This will include the European Nitro Funny Car series, Jet Car Shootout and National Drag Racing, plus off track shows like monster trucks, stunts, displays and trade show. The first VW festival at Santa Pod is the Big Bang Camper & Bus Show, which is organised in conjunction with Volksworld Camper and Bus magazine. This includes VW Drag Racing, RWYB, Live Action Stunt Arena, music, ‘Show n Shine’, kids activities, traders and a chilled out family atmosphere! So plenty to go at!